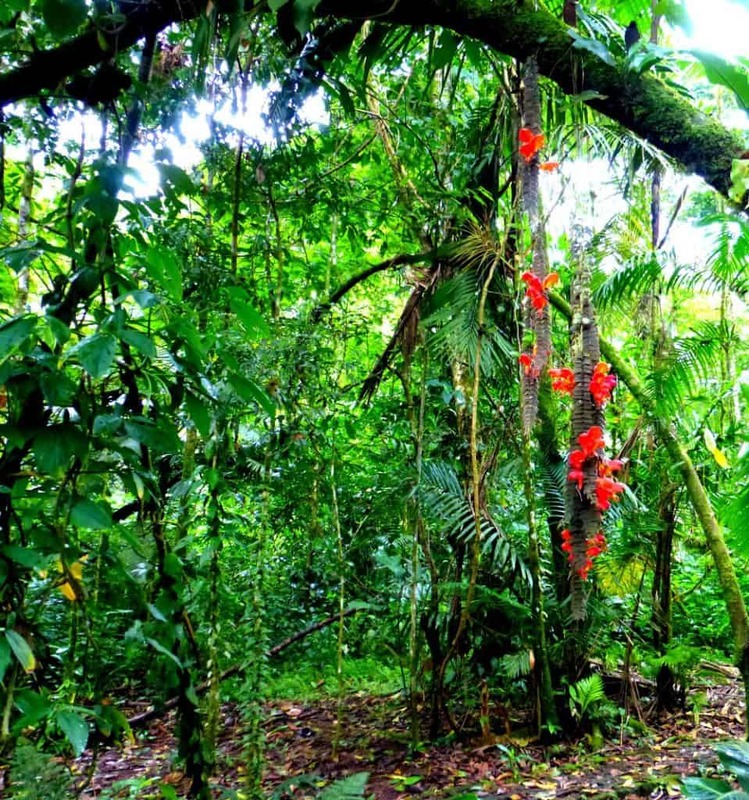 How can you improve a tour of a tropical rainforest in one of the world’s most amazing destinations – Costa Rica? Same as any other experience – just add chocolate! Genius idea and a fantastic day trip from San Jose. We started our day winding our way up through the rural twisty roads leading out of San Jose, Costa Rica’s bustling capital. It doesn’t take long to get outside of the city center and find yourself enjoying the views of dormant volcanos. 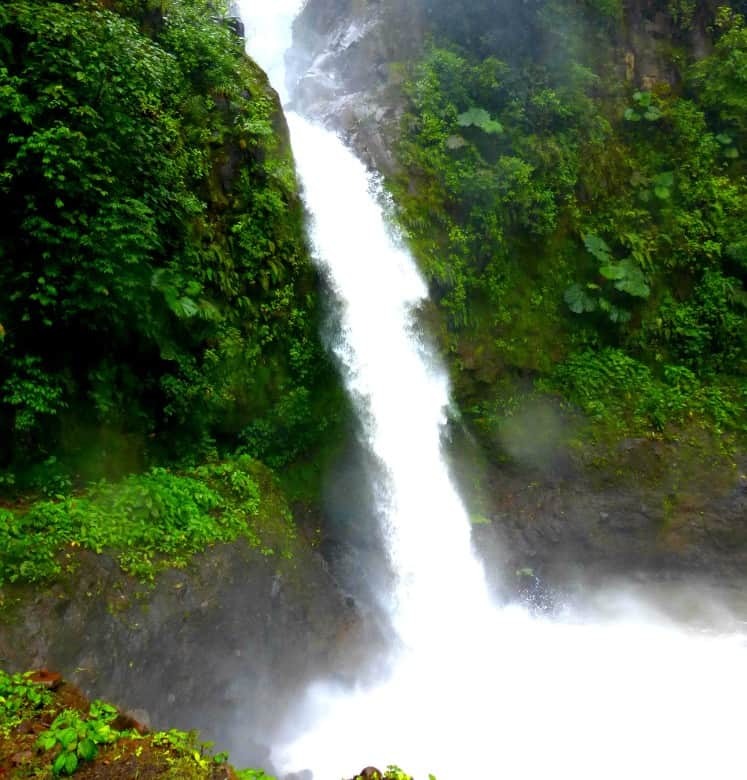 During the ride we were greeted by gorgeous vistas – like this waterfall. There were many along the way. 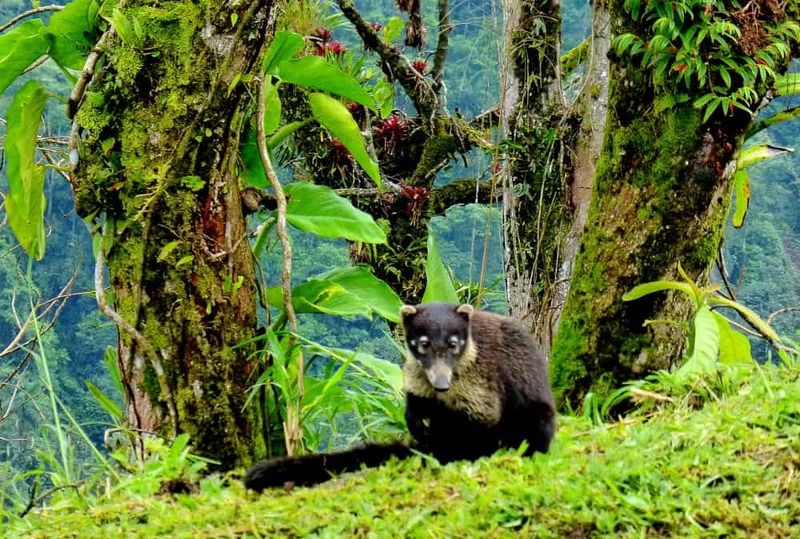 As well as these curious fuzzy natives – the Coatis, which looked like a combination between a raccoon and an anteater. We arrived at the Tirimbina Rainforest Center and were met by our guide. He lead us on a brief trek through the jungle, pointing out plants, birds and parades of leaf cutter ants along the way. 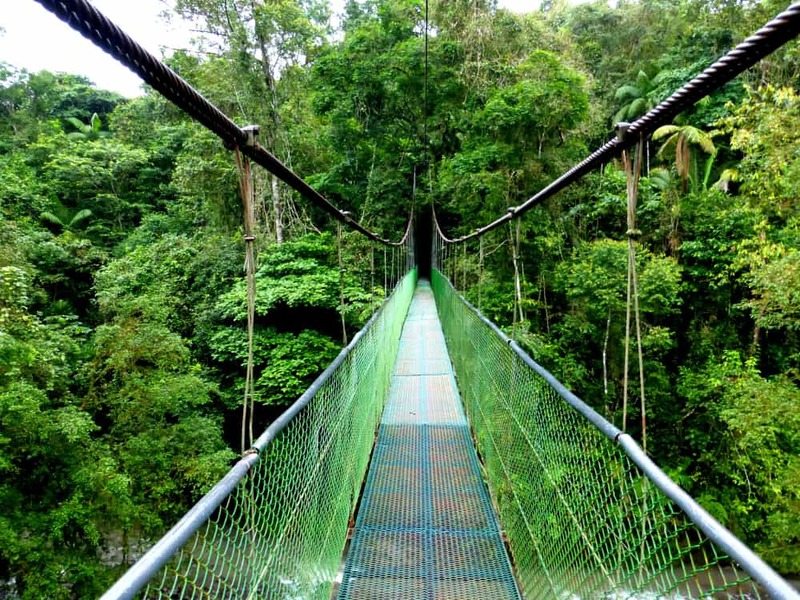 Reaching the center of the cacao plantation requires traversing the longest suspension bridge in Costa Rica. 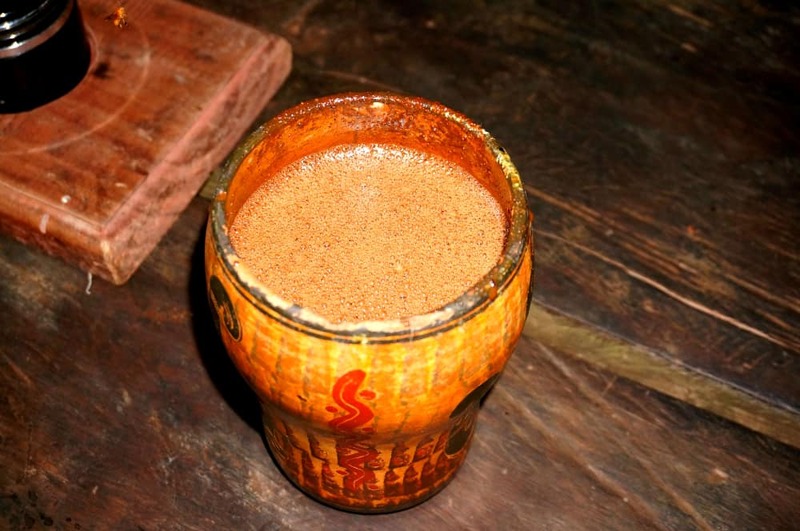 We were rewarded for our efforts with a demonstration of how chocolate is made along with a history of chocolate. 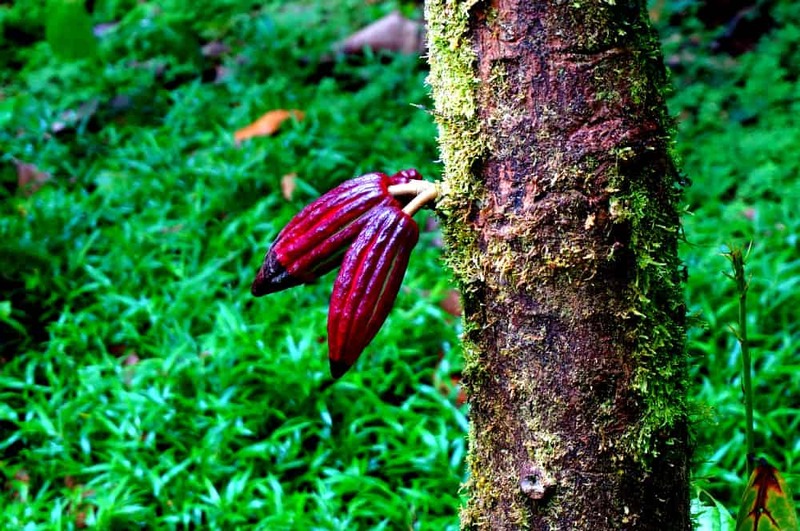 As it turns out currently most cacao is actually grown in Africa due to a fungus attacking much of the crop throughout South America. Our guide demonstrated the process of making chocolate all of the way from fermenting and roasting the beans to grinding them into a paste. We tasted every step along the way and were treated to a rustic frothy hot chocolate as well as pieces of dark and milk chocolate. Some of the purest and most delicious I have ever had. 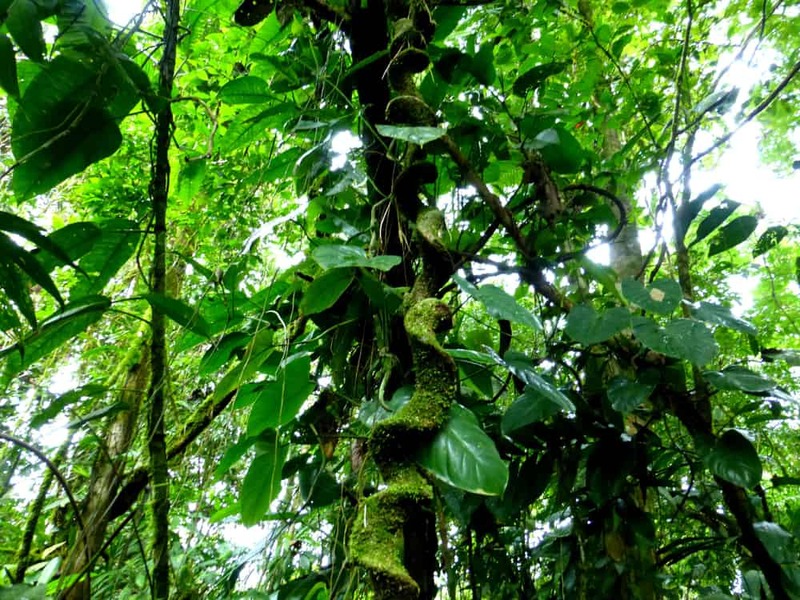 monkey ladder vine – second best thing? 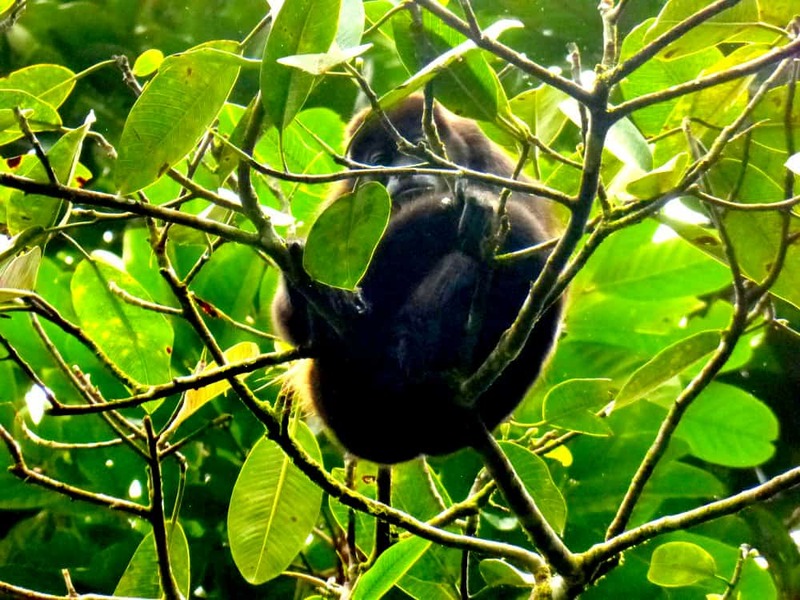 And then, on the way out of the forest, there they were, a band of about 6 howler monkeys. As a bonus we also spotted 2 sloths high up in the trees. On the way back we stopped and had a typical lunch done extremely well. It was a perfect day and a great introduction to Costa Rica. Disclaimer – Our tour was provided by Urban Adventures San Jose but our opinions and observations are our own. 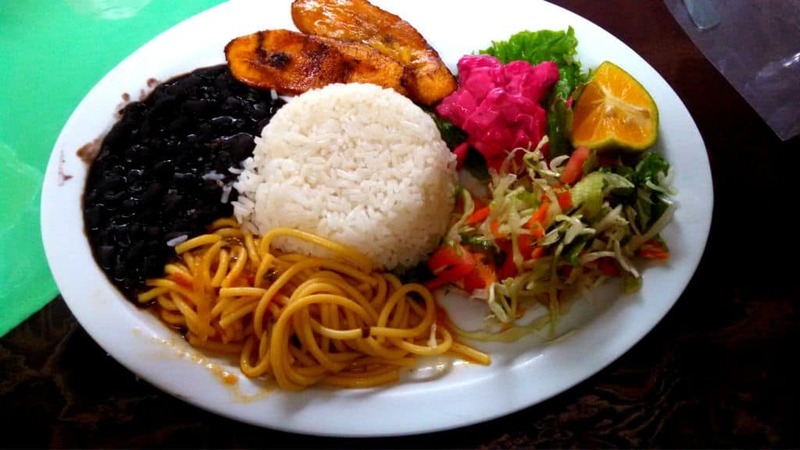 Urban Adventures specializes in traveling like a local with a local – just the way we like it. Was it raining when you took those photos? Great pictures, I’m impressed with your camera work! Thanks so much! It was sprinkling off and on while we were there but we barely noticed. Such a fun day. We’re headed to the Dominican Republic next! Looks super! 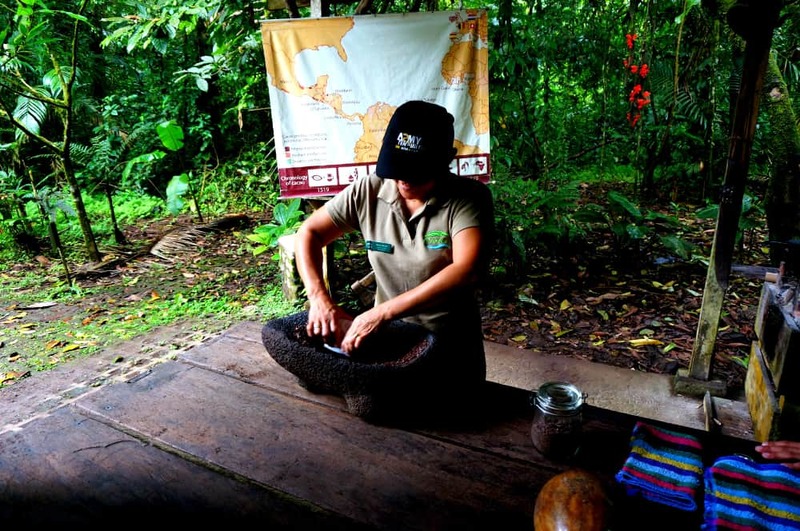 I love these kind of tours, anything to do with farms, spices, coffee and chocolate!